So I finally upgraded to a full JB4 on my 335i. I picked one up from a forum member who was selling the latest JB4 model, bluetooth connect kit, and aluminum enclosure. The one caveat was it was missing the flex fuel wires. 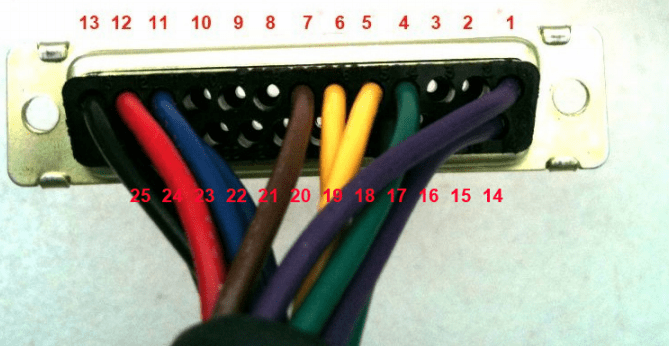 By missing, the seller meant the leads were cut off on the JB4 side of things… This guide is very similar to BMS’ official install guide but with some more details added. The installation is pretty straight forward until you get to the flex fuel wires. 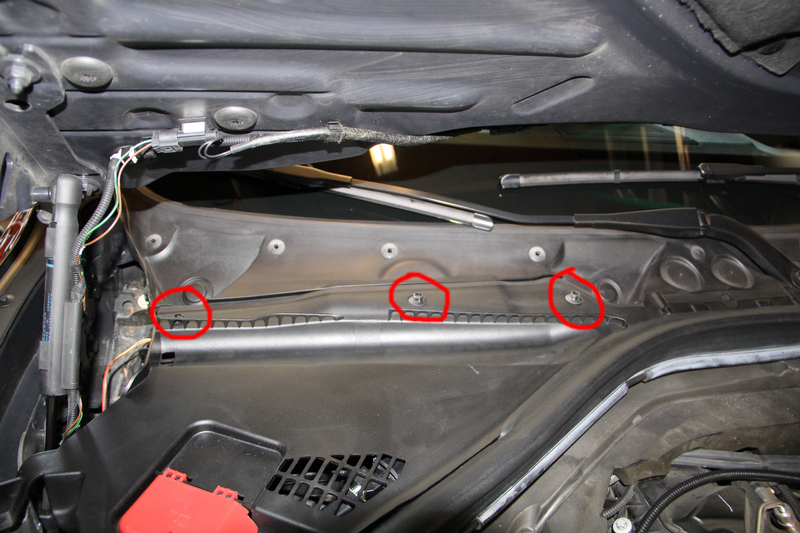 Getting to the flex fuel wires is very difficult unless you remove the drivers side cowl. 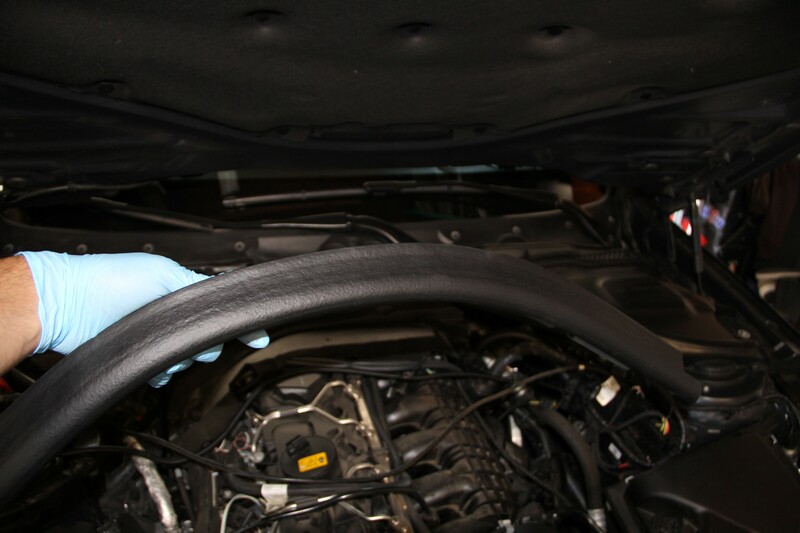 If you are not installing flex fuel wires the installation is a breeze, like 15 minutes tops. If you are installing flex fuel wires it will take a little longer. 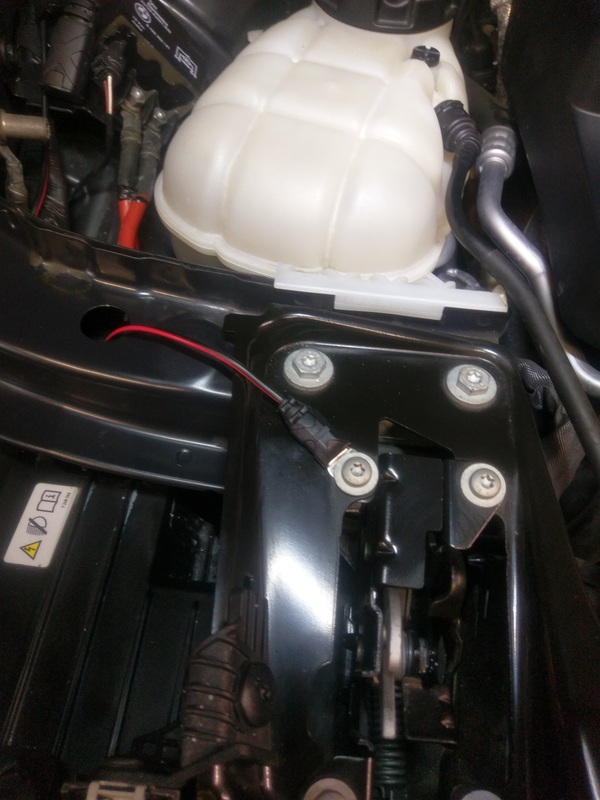 Remove the engine cover by pulling up on it. Now under the hood on the drivers side you will see a small firewall plug that can be pushed through, it will fall down by the pedals. 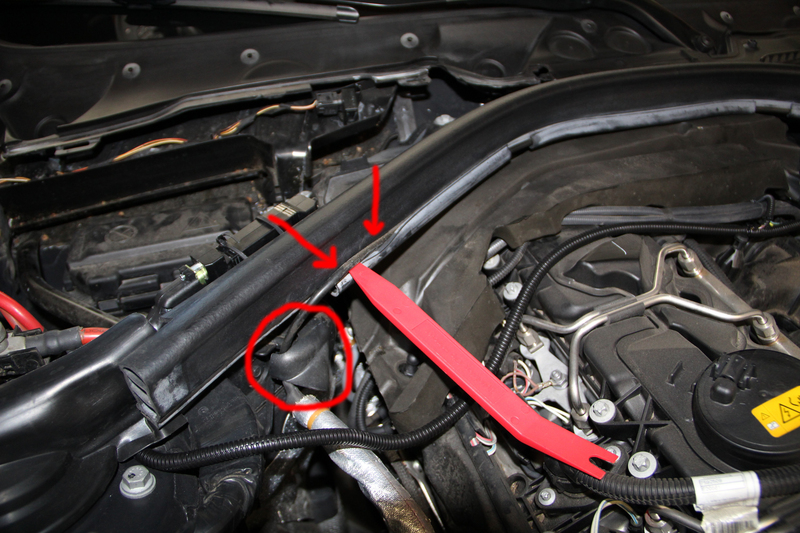 Insert your fish (coat hanger, whatever you use through this hole), loosely tape the small 4 pin connector to it and pull it up into the engine bay. Connect the 4 pin connector coming through the firewall to the 4 pin female connector on the JB4 and the OBD2 control part is done. 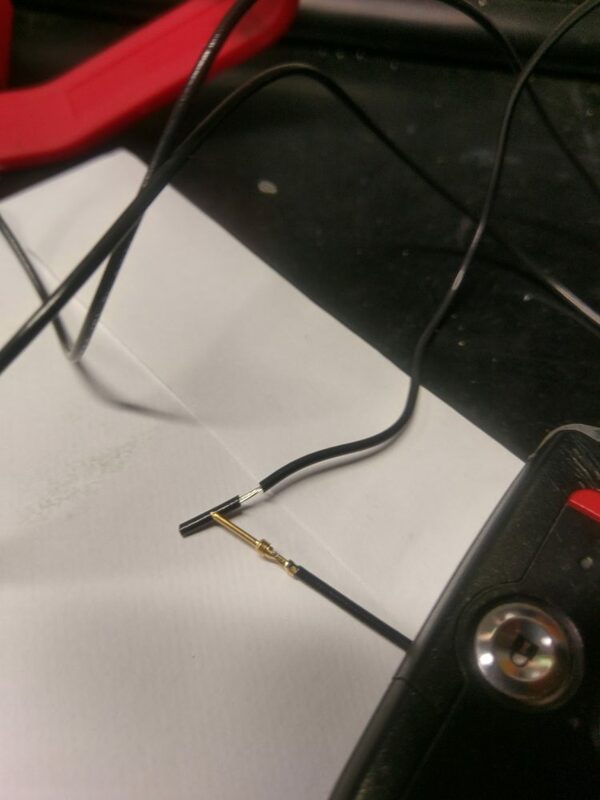 If you have a T50 torx connect the red wire to the positive post (where you would jump start the car) on the passengers side. Using your zipties mount the JB4 in an area of your choice, I found the area suggested by BMS to be pretty solid although having the aluminum chassis I was a bit worried about it sliding over and touching the battery jump start post. I opted to insulate the box with some black tape just in case. 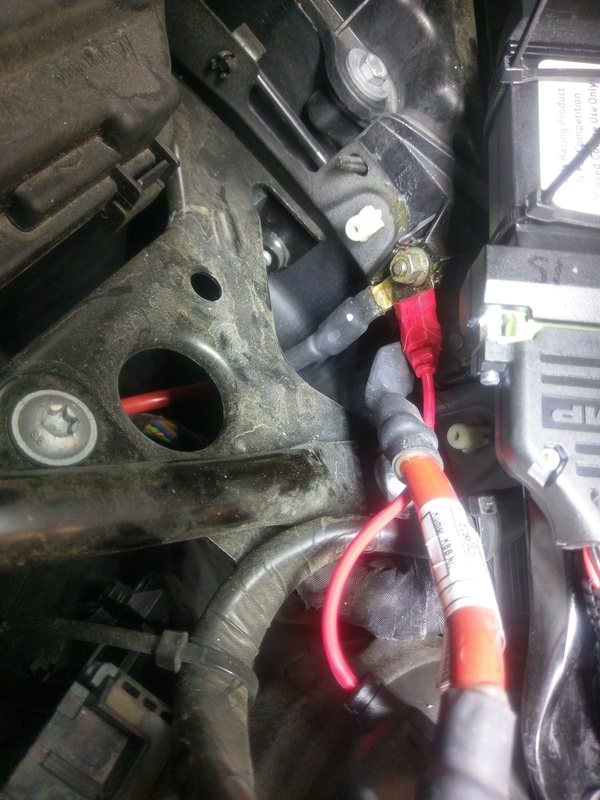 Reconnect your positive battery cable, install your engine foam, cowl covers, etc… and you should be good to go. Visit the n54 tech forums, update to the latest firmware, ensure all settings are set to default and enjoy. I suggest logging a few runs and posting them up to n54tech’s support forums to ensure everything is running smooth and setup correctly. 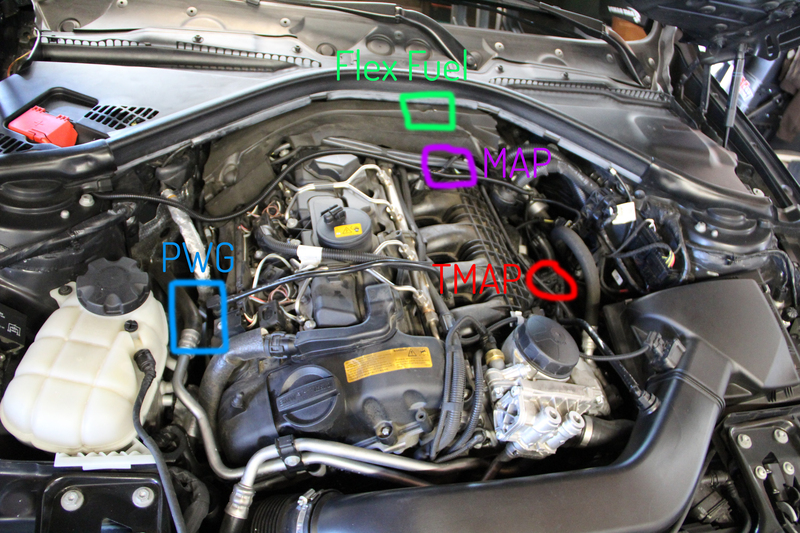 In case anyone else comes across this issue with cut JB4 flex fuel wires or missing flex fuel wires here is what you need to do in order to install a new flex fuel wiring harness. Pinned and stripped end on new flex fuel harness. Starting on Step 8 of BMS’ official install doc linked above, open up the JB4 unit, and remove the AMP shell connector. If so, please consider using one of my Amazon Affiliate links on your next Amazon.com purchase. Help me convince the wife all the time I spend on this site is not for nothing. Copyright © 2019 breads blog. All Rights Reserved.